Turn back the clock to a younger, more beautiful you with our non-invasive Liquid Facelift! A non-surgicalLiquid Faceliftis a procedure that lifts, contours, and sculpts areas of the face to make you look younger with no surgery required! A liquid facelift combines any types of injectables including Botox, Juvederm, Vollure, Restylane, Raieisse and more. What can a Non-Surgical Liquid Facelift do for you? A non-surgical liquid facelift can reduce fine lines, wrinkles, folds, and creases. This non-surgical treatment subtly lifts drooping facial features such as eyebrows and jowls to create a fuller appearance. The liquid facelift helps you look younger by adding volume to flatten the cheeks and temples. This treatment can also be added to the nose for a more even appearance. Results of a liquid facelift really depends on the area being treated and usually lasts from 8 months to 1 year. A liquid facelift does not require any downtime and results are almost immediate! Some patients may experience bruising or swelling. For more information or to schedule your complimentary liquid facelift consultation, please contact us today at 916-500-2474! 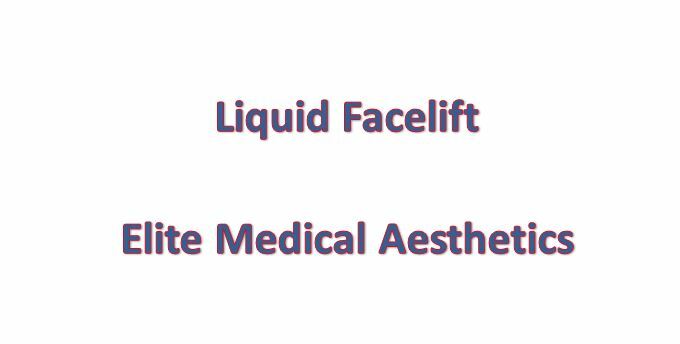 Why is Liquid Facelift is preferred treatment? Over the last several years, non-surgical cosmetic procedures have become more popular, affordable, and effective. A surgical facelift has become less favorite option because of the risks of surgery, costs and also drastic changes that can happen to the overall look of your face after surgery. Why Do I need Liquid facelift rather than other procedures? As we age, the cheek bones over time lose the volume and prominence. The process of this can be faster in some than others. Cheek filler injections, if done correctly, would lift up sagged face, improve the “tired” look and smile lines will become less prominent. 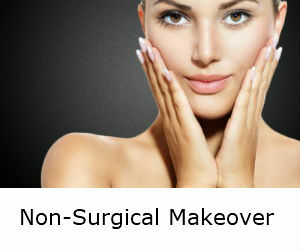 This procedure may be considered as the first step in a liquid facelift. 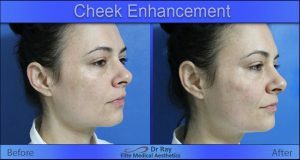 Aside from cheek augmentation, fillers may be used in the lower face, marionette lines, jawline, as well as smile lines. 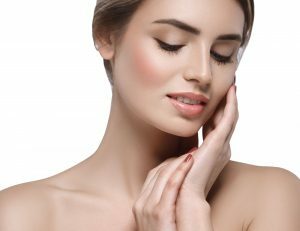 A liquid facelift may be combined with other skin rejuvenation procedures such as PRP (Platelet Rich Plasma), (AKA Vampire facelift), laser, ultrasound, and microneedling. The choice of fillers would be decided according to the specifics of each client. At Elite Medical Aesthetics, we have vast array of fillers (Restylane, Juvederm, Voluma, Radiesse, Belotero, and Radiesse) Botox also can be used in liquid facelift to improve muscles activities of crowsfeet, upper lips, or lower face. Is this Liquid Facelift similar to Y lift? This procedure is similar to a “Y lift”, which is when HA filler is injected in the mid face area. However a Y lift it is limited to HA filler, where a Liquid Facelift any filler can be used based on which would product will work better for each individual. Are There any Risks Associated with Liquid Facelift? Liquid facelift procedures are regarded as safe with very little risk for any serious complications. On some occasions, patients have experienced minor side effects following their treatment which include bruising, tenderness, or swelling. 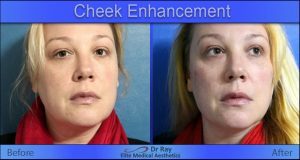 Over the recent years, Dr. Ray has done thousands of filler and Botox injections and the incidence of bruising has been rare. Aside from that, no other major adverse events expected after a liquid facelift. Am I a Good Liquid Facelift Candidate? Most individuals who are interested restoring a youthful appearance without undergoing surgery are generally good candidates for liquid facelift procedures. This non-surgical treatment is good for all different skin types and will work better to restore facial shape and contouring then using a topical solution. At Elite Medical Aesthetics, Dr. Ray has performed liquid facelift in patients from late 20s to their 70s. During your consultation with Dr. Ray, he will be able to determine if the liquid facelift is the right choice for you and your desired goals.